That's Solent has lost the services of presenter Dame Esther Ranzen and chair of the board of directors, Mary McAnally six months after the channel's launch. According to local newspaper, the Daily Echo, Ms Rantzen blamed commitments to other organisations and her charity work for the move. The paper described the departure as "a major blow for the station as hopes were pinned on the Hampshire-based television personality to give That's Solent a chance to reach audiences on screens across the south", reporting allegations that there had been a complaint to the National Union of Journalists over pay, although Ms Rantzen said the reason for her departure "was not related". Mary McAnally, a former Managing Director at Meridian TV, hasn't publicly commented on her departure. 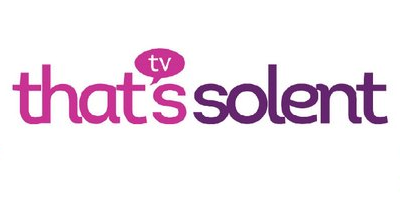 The involvement of Esther Rantzen and Mary McAnally on the channel featured prominently in That's Solent's application for an Ofcom local TV licence. Chief executive Daniel Cass confirmed that the departures would not affect the day-to-day running of the local channel, which broadcasts from the Isle of Wight's Rowridge transmitter and appears on Freeview channel 8, as well as via local cable TV. Well this is a turn up as I never spotted it in the Echo although I've read it now. Esther R from what I've seen has never had much interest in it so I'm not surprised she's bailed out but the other person I've never heard of. The reporting and presenting is very amateurish BUT the music content is some of the best I've seen. Since the loss of The Chart Show the channel has taken over very nicely from that aspect in my opinion. I hope it doesn't fold just because of two people leaving. What it really needs is one good old pro to knock the others into shape. I can think of a couple of people who could help out but whether they'd be willing is another question.